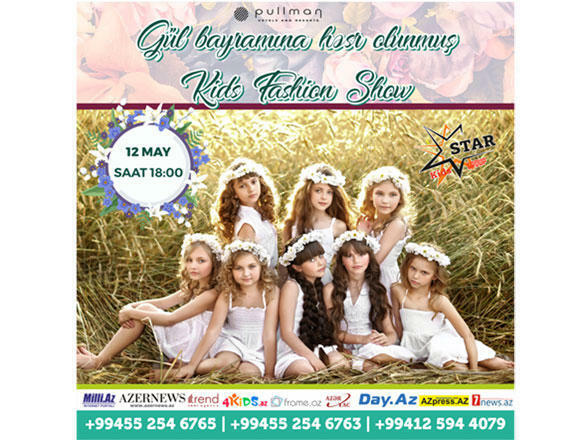 Pullman Hotels and Resorts will hold the Kids Fashion Show, organized by Star Kids Group in Baku on May 12. As many as 74 young models, aged 4 to 14 and 23, fashion designers will compete in various nominations for the best title. Among the young models participating in the contest are 45 girls and 29 boys. Choreographer of the event is the winner of the Best model of Azerbaijan 2004 Ilgar Aliyev, head of the project is director of Star Kids Group Aygun Aliyeva.